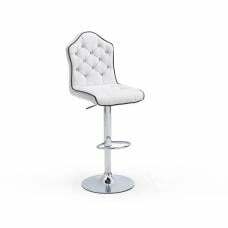 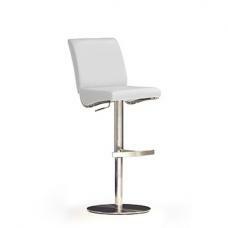 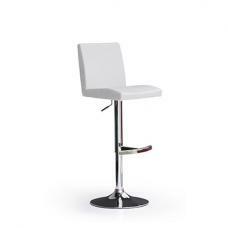 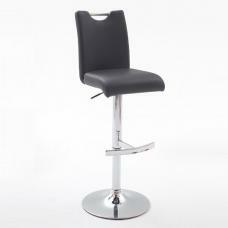 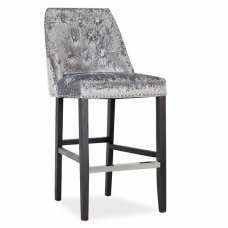 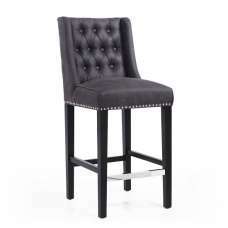 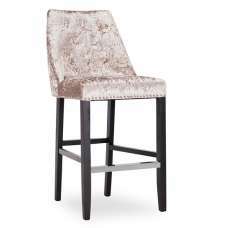 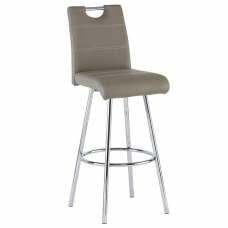 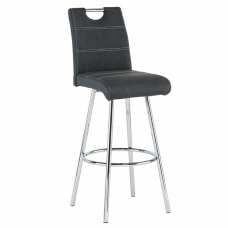 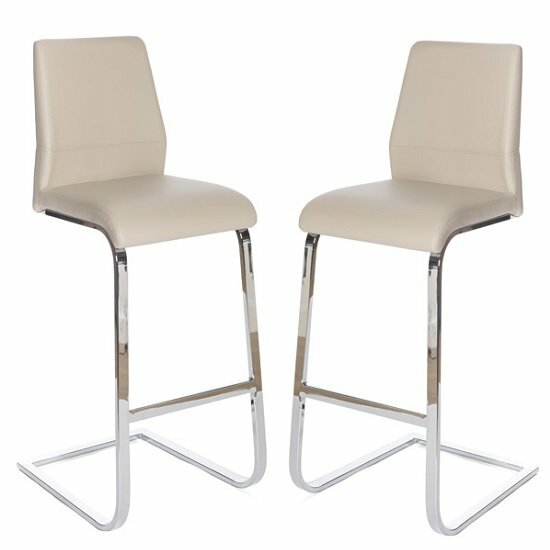 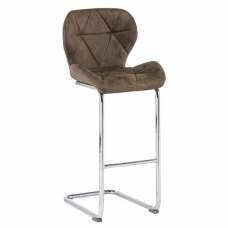 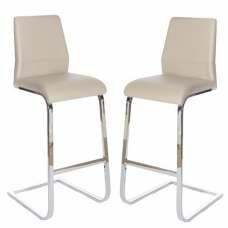 Presto Bar Stool In Taupe Faux Leather With Chrome Legs In A Pair, gives comfy sitting experience, creating a positive atmosphere to any interiors. 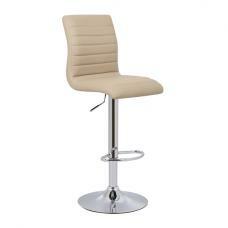 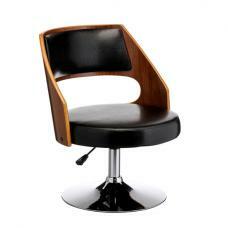 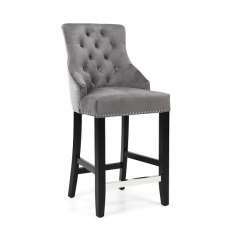 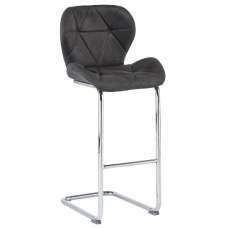 Made of Taupe faux leather with chrome legs. 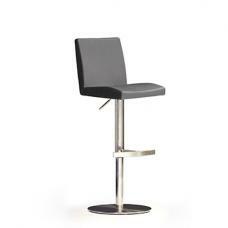 The soft mottled Taupe is enhanced by steel legs and the table base has stainless steel detailing.